Did you know the oldest fishhook found was over 45,000 years old? Many anglers before you have been fishing the great fresh and salt waters of this beautiful planet we live on. We don’t need to use a spear to hunt for fish anymore (some still choose to use a spear at times!). So that begs the question of what are the best spinning reels for you? Our buying guide will inform about the differences between freshwater and saltwater fishing requirements. 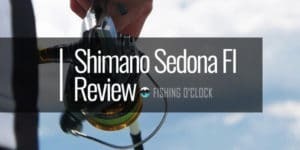 It’s critical that the right fishing reel is chosen so that you don’t end up spending money on the wrong spinning reel and turning up empty-handed. 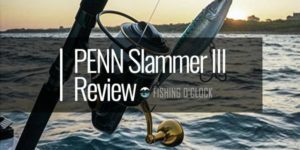 We’ve selected models worth considering for saltwater and freshwater fishing, and will also mention some affordable units for those on a tight budget, especially under 100$. Take a look at our spinning reel reviews to find your favorite today. The first thing you notice is the modern design of this reel. You soon realize that it doesn’t only look high-tech, but it is a contemporary unit. The CI4+ has a carbon body accompanied by an aluminum spool. It features six standard ball bearing and a single roller one. It is famous for its long-distance casting and an overall smooth feel of using it. The maximum drag goes up to 20 pounds, and you could say that the product is very durable. It lacks an anti-reverse lever, but that is far from being a problem. You may have some problems with the line tangling, but as soon as you get used to the unit, you will enjoy using it. You can pick between several models, and the average retrieve range is 35 inches. 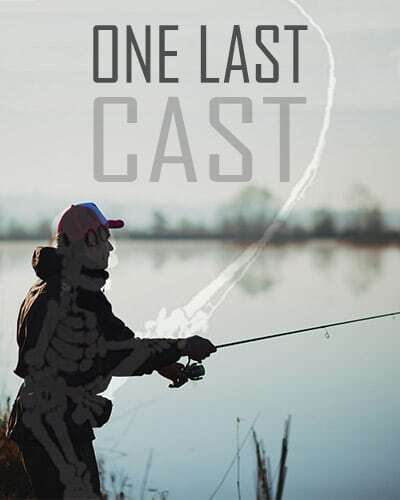 That should be more than enough for all long-distance casting fans out there. If you are looking for a sealed and submersible reel, the VR series may be a good fit for you. The manufacturer used aluminum as the preferred material. However, the center shaft is from stainless steel, and the unit also has a coating from titanium nitride. The reels are waterproof and strong, but they remain lightweight. If you prefer using a bail-less reel, you can easily convert it as you get all the tools necessary. It is also nice to see that the overall durability is better than expected. The bail could have been of somewhat better quality, but that is far from being a deal-breaker. When it comes to the drag statistics, it can go up to 30 pounds depending on the model. It seems that the line capacity is generous, which makes the reel suitable for long-distance casting. The model also has a fairly high retrieve rate. If you are looking to catch big fish, but you do not want to splash your cash on a reel, this unit is worth considering. Its price tag is reasonable, and it is fairly durable. The body, rotor, and sideplate are all made of metal. The manufacturer also applied CNC gear technology, which makes heavy-duty fishing more manageable. In other words, you can tackle big species with this reel. The reel uses the IPX6 system to ensure that the water doesn’t enter the drag system or gearbox. That ensures optimal experience and increases overall durability of the unit. Depending on the model you select, the weight may vary from 14 to 43 ounces. For example, the 4500 model weighs under 15 ounces and has a gear ratio of 6.2:1. The maximum drag is set at 30 pounds and the line capacity is set at 320/10 yards/pounds. While the beginners might learn how to use this unit quickly, the veterans are its primary target group. At first glance, the reel looks durable – it has a screwed-in handle of aluminum and a carbon drag system which is waterproof. However, you might extend its durability if you stay dry. The maximum drag is set at 15 pounds while the retrieve rate is over 33 inches. The unit weighs 9.5 ounces and features an anti-reverse lever. That is not an essential feature, but many traditional fishers will welcome it. Overall, the unit seems a bit large and heavy, but keep in mind that it was designed to catch big fish. When you are a beginner, you want a lightweight reel that is easy to control. 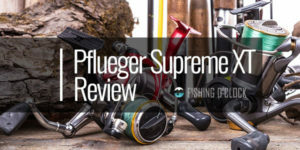 That us what Pflueger secured with its XT spinning reel series. The preferred material for rotor and body is magnesium, which ensures that it is lighter than most other reels. As for the handle, the company used carbon, an undoubtedly lighter option than aluminum. The sealed drag system should ensure that everything goes smoothly. The gear ratio is 5.2:1, and it could undoubtedly be better, but that is far from being a deal-breaker. You may lose a couple of seconds in the process, as well as when your line tangles, but this product compensates that with its versatility. Due to the braid-ready spool, you can easily use different angling applications based on the species you want to catch. The overall feeling is that even beginners can find their way around this unit effortlessly. The Baitrunner series can serve well if you prefer using live baits. The natural movement of the bait that this reel ensures is what attracts various species. The speed is fairly consistent regardless of the size that you select. The unit is lightweight, and the small size goes under 14 pounds. The maximum drag is 15 pounds, and it features three ball bearings, as well as a single roller one. You might think that only three bearings will affect the performance, but the reel seems to deliver what the users expect from it. The gear ratio is 4.8:1 and the reel’s speed is fairly consistent. Furthermore, it seems to be easy to control the unit as the grip is comfortable. It seems that the reel could be more durable, but if you use it and wit care and maintain properly, it can still last for a long time. What is your priority when purchasing a spinning reel? If it is durability, you will be glad to know that this unit features a durable body and an aluminum spool. That enables the reel to stay powerful despite its light weight. The unit is also versatile, and you can use it whether you are an offshore or inshore angler. A total of six ball bearings plus an added roller one show that the manufacturer tried to make an all-around reel. The model is suitable for those who prefer long-distance casting and fishing. You do not have to be afraid of fatigue when fishing for hours due to the comfortable grip. Keep in mind that the reel can be noisy from time to time. You will get used to it just like you will get used to the fact that there is no anti-reverse feature. The unit features both a sealed spool and body and the design seems rather attractive. The combination of the dark and golden colors make the reel a cool addition to many rods. If you care about aesthetics, the chances are you will like this unit. It doesn’t disappoint when it comes to performance either. Although it is not that lightweight, it is reliable and executes commands flawlessly. It is a reel you can count on, which is important for both beginners and advanced users. The reel is fairly durable with a full metal sideplate and body. It doesn’t shine in terms of durability, but it also has an affordable price tag. The CNC gear technology ensures consistent speed. The patented drag washers make it possible to deal with even heavy fish. The unit features five ball bearings made of stainless steel and one additional roller bearing. 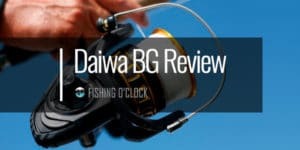 Daiwa is a manufacturer that has been around for decades, and they are a reputable company. Their BG spinning reels feature an attractive design, matte finish and golden details. The aluminum body adds to the durability, but keep in mind it is not easy to find replacement parts. The reel features six ball bearings and a roller one, and the gear ratio is 5.6:1, which is optimal for a versatile unit. The maximum drag capacity is 13.2 pounds, and the drag system is waterproof. That means you shouldn’t worry if the reel goes in the water. As for the retrieve range, it is set at 33.2 inches, which should be in line with the expectations of most users. The spool is ready for a braided line. At first, the beginners may consider the reel difficult to maneuver. However, it is all about getting used to how it works, which shouldn’t take long. It is only natural that you first notice the design of the reel. 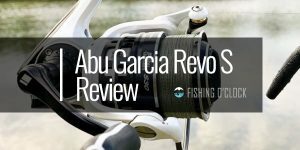 Abu Garcia’s unit is one of those that has a discreet, but attractive look. As soon as you try it, you will realize that it is lightweight and simple to move around. The beginners will appreciate that it is easy to control the unit, as well as its affordable price tag. That makes this reel a great option if you need a model to practice your fishing skills. The gear ratio of 6.2:1 ensures a high and consistent speed. Thanks to the generous range, you can fish off the bottom of a freshwater environment. It adds to the versatility of the unit and gives you more fishing opportunities. Eight ball bearings plus and an extra roller one, and 35” per crank are also important features and reasons why you should try this reel. The gray metallic color seems to be an interesting fit with golden. It makes this reel a great addition to any rod, and suitable for those anglers who want to show off their cool equipment. Although the reel has an affordable price tag, the manufacturer included durable HAGANE gears to make the unit strong. The approach is familiar for this company as HAGANE is used in many other reels, too. The reel itself remains compact-sized and simple to maneuver. The line capacity is generous, and you can use the reel for both offshore and inshore fishing. You can enjoy casting the reel for long distances without worrying that the line will tangle. The unit does have a tight bail, but you can resolve that with a hard crank. Controlling the real should be simple unless you get it wet, which is when it may get heavier than usual. Here is what you need to know about this unit – it is a budget-friendly reel. That means it is fairly durable, but it has some plastic parts. Although that could affect durability a bit, it is still a reel that both amateurs and professionals can use. If you want to use the technique of bait fishing, it is easy to activate the secondary drag system. That adds to the versatility of the reel, and allows you to use various fishing styles and techniques. The reel has 6+1 bearings in the drive, but the interesting feature is the anti-reverse roller bearing. That contributes to the overall smooth feel of using the reel. You can say that the manufacturer ensured that you have a good line control. However, we couldn’t help but notice that it could hold more line. The capacity remains adequate and suitable for most fishing endeavors. 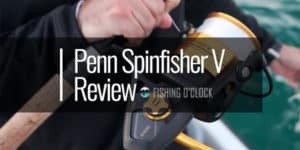 Penn managed to implement many vital features for an affordable reel. The entire experience of using the unit feels quite smooth. That means the newbies to the fishing world can also consider the reel, but it can also be a good choice for experienced anglers. The cranking is pretty fluid with a total of six bearings, including five ball bearings made of stainless steel. The manufacturer made the body, rotor, and sideplate of metal while the drag system is of carbon fiber, which might be the best choice of material for that component. Some users may consider the reel to be stiff, but that shouldn’t be an issue once you get used to the unit. However, this is primarily a freshwater reel and contact with saltwater could affect its durability. While it is not a saltwater-optimized unit, it is still fairly durable, especially if you consider the affordable price tag. As soon as you read the name of the reel, plenty of things will be clear. The unit is compact and lightweight, which means that it is not great for tackling large fish. However, it falls into the category of affordable reels, and they are suitable for newbies, which could all be pluses in the user’s book. The reliable bearing system has a total of eight bearings, including the anti-reverse feature. That enables fluid cranking and the smartly positioned handle makes it suitable regardless of your preferred hand. That means you can use this unit whether you are left or right-handed. When it comes to controlling, things become a bit tricky if you get the reel wet. The materials and the design used during the manufacturing process do not make this reel submersible. However, everything should be okay as long as you keep it out of the water. The statistics indicate that the gear ratio of this unit is 5.6:1. It also has seven ball bearing and a roller bearing. On paper, that should ensure smooth casting and retrieve, and it seems that is the case in reality, too. The unit is lightweight, and it has an attractive design. The golden and gray metallic should fit with most rods. Furthermore, you will be more than pleased with how the reel fits with the rest of your fishing equipment. Apart from the attractive design, it is worth noting that a reputable manufacturer designed this reel. That is always a point in favor or the unit, and it does seem like they secured a good deal for the money. The unit has some drawbacks, such as the fact that the handle may become wiggly. You may also face some line tangling, but despite that, you get more than enough for the price tag. It is not often that we see affordable units having 10+1 ball bearings. If you add that they are made of stainless steel, you realize cranking should be quite fluid. The gear ratio is 5.5:1, which makes the speed understandably high. The drag washers made of carbon fiber have a maximum set at 26.5 pounds. The body of the reel should be corrosion free as the preferred material was graphite. However, you should still avoid fishing in saltwater conditions to ensure optimal durability. The reel is quite versatile, but it is light, which doesn’t make it suitable for large fish. It is more for those anglers that like quick action and tackling smaller fish. The handle is quite comfortable thanks to its T shape. The ergonomics overall seem great, which is why you shouldn’t have any fatigue issues even when using the reel for a long time. 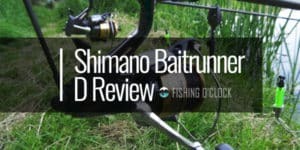 We can consider this an entry-level Shimano’s unit, but it is nice to see some features that advanced models have, too. For starters, they remained truthful to their style of making lightweight but strong units. For example, the gear durability is optimal thanks to the X-Ship technology that prevents friction between the gear and the spool shaft. The overall durability could be better, but it is an affordable unit. The handle does not feel that comfortable, but you can improve the overall smoothness if you grease the unit additionally. It may take a bit of skill, but you can always ask an experienced angler for help how to optimize the reel. The reel is quite versatile, and you can fish both small and large species with it. The unit is suitable for saltwater fishing and its durability won’t be affected by salty water. The first thing you notice in this unit is its classic design. The aesthetics are suitable for all lovers of traditional-looking reels out there. It is still a nice addition to your rod and will make your fishing equipment look cool in the non-pushy way. The product is quite strong, especially if you consider its budget-friendly price tag. It may seem a bit bigger than in the pictures, but that doesn’t have to be a bad thing. If anything, that makes it stronger and suitable to catch big fish. The body of the unit is resistant to corrosion, and the grip is quite comfortable. The manufacturer showed that they care about the ergonomics and made a user-friendly reel in terms of control. Cranking also seems quite fluid, but keep in mind there is no anti-reverse feature. That shouldn’t be a problem as you should get used to using the reel quickly. So, you have decided to get into the world of angling? Great! Let’s start off with Spinning Reels, shall we? 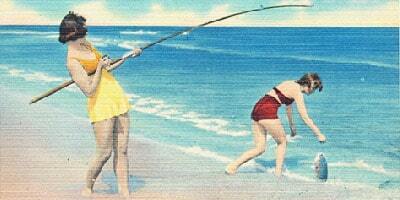 First off, are you angling for pleasure or competition? What kind of fish (and size) are you looking to catch? To pick out the appropriate fishing reel type, let’s start by taking a quick look at the components of spinning reels. That’s right, its “Reels 101” time. There are 4 different styles of reels available. They differ with their versatility and ability to be used with a wide variety of fishing styles. Some can be quite specialized and purposed for very exact fishing scenarios. The fixed spool reel makes for a great general reel. They can be used for different types of fishing such as trotting and specimen fishing. They are known for their versatility for angling. Free spool fishing is a more modern design of a fixed reel. They are similar to a fixed spool reel. The only contrast is that they have an extra drag system. This provides the angler to turn set amounts of tension to the reel. Centre pin reels: are ideal for waters such as river float fishing due to their design that allows the line to flow with the speed of the water current. Closed face reels: The more specialized are specialized of the reels. Mainly used by anglers in water settings that have moving currents because of their light weightiness. Drag systems are found in all fixed spools. Found in the front of the reel or in the back ( front and rear drag ) Rear drag systems on reels are the most desired with novice anglers and front drag systems on a reel are considered ideal by more professional fishermen. The 2 drag system perform in the same way, they restrict or loosen the movement of the spool, much like a car’s braking system does to the car wheels. The smoothness of the reel is really determined by the number of bearings it has. The more bearings the better. High-quality bearings made of stainless steel also assist with the lifespan of the reel as well and absorb a lot of the wear and tear inside the spools mechanism. What you should look for in a line lay is that the flatter it is the better. Distance and accuracy are dependent on how flat the line lays on the spool. How fast the reel retrieves the line you cast out is managed by the retrieve ratio of the design. The most common fixed spool reels are usually designed with a retrieve ratio of around 5.2:1. What you will find when you shop for fishing reels is that in general, reels will have a retrieve ratio that is found between 4.8:1 and 5.4:1. This comes down to personal choice and what length and shape you personally find desirable. A spinning reel can be used to catch many different types of small fish like bluegill all the way to giant tuna weighing over 100 pounds. Making sure your spinning reel has the right line and rod combo are critical to the success you will have with fishing. The line size you choose needs to be correct for the spinning reel you have decided on and the type/size of fish you want to catch. When it comes down to it, there are quite a few options that you have when choosing the right spinning reel for your needs. Ultimately, it’s about how the rod and reel feel in your hand and what type of fish you want to catch. Once those have been decided you can really start customizing your fishing tool to get the best performance possible. When using the word “ultralight”, anglers are referring to the lightest weight class of any reel available. Ultralight lightweight reels have a more refined and gentle touch which is ideal for catching smaller game fish like panfish, trout, and smallmouth bass. A reel is considered ultralight if it is under 8 ounces in weight. Ultralight reels are great for those lazy lake trips where you are not looking to catch large fish and will permit you to fish throughout the day without dealing with the physical strain and fatigue that bigger equipment might cause. When used with a lightweight rod and lightweight lures, this type of reel gives you a true advantage because it allows for a stealthier cast which means the fish don’t get spooked as much. It can be cumbersome to pick out the right reel for the right fish for the right price. 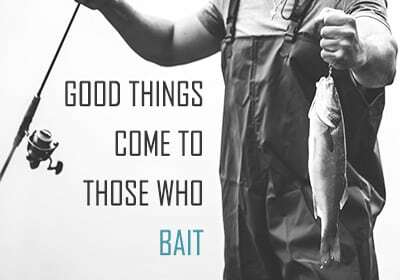 But, with some preparation and a few things to take into consideration, you will be more than satisfied with the end result and have yourself a great reel to fish with. What’s the type of fish you are interested in catching? – you won’t be catching 100 lb tunas with an ultra-light reel. Think smaller fish. Look for a manufacturer that clearly indicates the drag weight, gear ratio, line capacity, IPT and, CPT. Affordability- fishing is supposed to be fun and not to break your wallet. Don’t go overboard and spend a lot of money on a reel that you don’t need. You don’t need an expert reel and rod with the strength to handle hurricane force winds. Don’t spend your money on those. 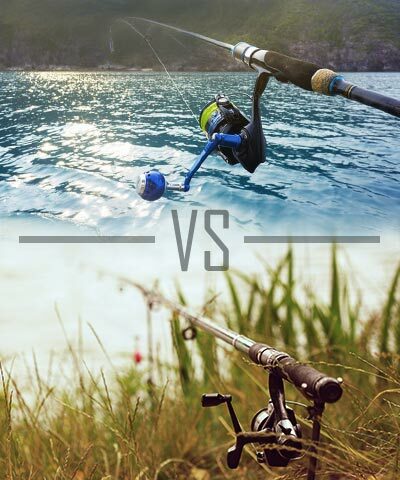 If you’re having second thoughts check out our baitcasting vs spinning reel comparison! Unless you live near a coastal area, you would have started fishing in fresh waters like lakes and rivers. Saltwater fishing opens you up to a much larger diversity of fish to catch. The first thing you should understand is the primary difference between fresh and saltwater fishing, which has to do with the water itself. Adding salt to the equation can affect negatively the longevity of your fishing gear if it is not maintained improperly. One of the most popular species that anglers are after and ask questions about is the famous bass. The factors mentioned below can be specifically applied to this species as well. Factors such as drag, spool, construction, bearing count and line capacity are extremely important to bass fishing. A quality reel with durable parts that are measured correctly is required for even the most experienced bass anglers. When looking for a saltwater spinning reel there are a few things to keep in mind, which we talk about below. Sometimes with all the options with fishing gear, the most important part of the experience is overlooked. What kind of fish do you want to catch? Where saltwater fishing is concerned, most people shop a reel because of its quality and tend to overlook the actual fish they want to catch. when it comes to the fish, the main concerns are the size as well as where each of them lives, the natural habitat and the season that they are most active and easily caught. First-time buyers really need to take costs into consideration. If you are a novice you should buy an entry level reel. Considering you are new to fishing, you shouldn’t spend a lot since you really don’t know if it’s for you yet and how you will really use it. 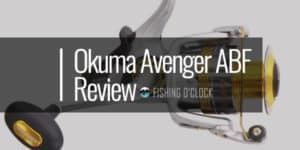 You can get a great one for under $100 that would do the job and will be able to stand up to harsh conditions As you gain more experience, typically most anglers start to purchase more pricey reels that give them more options. Something else to consider when making your purchase is the quality of the spool on your fishing reel. Since you’ll be going salt-water fishing, you should consider getting equipment that is anti-corrosion. Spool options are usually between graphite and aluminum. Typically beginner models will be made with graphite, which should be your choice if you are not sure if this type of fishing will be right for you. With bearings, it’s always the higher amount the better. The higher the amount in your reel the more smoothness there is during operation. What you want from a manufacturer are spinning reels that are light enough to allow for a long cast and are sturdy. Spinning reels have a front and rear drag system. In most cases, the front drag system is best if you’re after the big fish, The reason being is that the front drag system is of a higher quality typically. 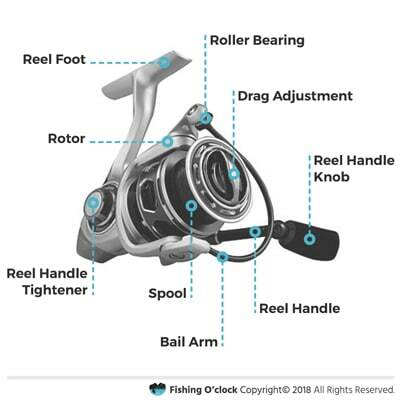 The rear drag system, on the other hand, is most suitable if you’re using the spinning reel for the first time because it is easy to adjust the line. Whether you are into freshwater or saltwater fishing, line capacity is critical. Depending on the type of fish you’re interested in you’ll have to know the type of line needed. The comfort of the equipment is not something that should be overlooked. When it comes to saltwater fishing, the ground to cover is vast and you will spend more time out there and the risk of fatigue is higher. Taking these factors into consideration will help you pick the right reel for your saltwater fishing experience. These 2 reels are designed for their different environments and it’s important to pick the right one for the right job. By taking these factors into consideration you will have yourself the perfect reel for what you want it for. Freshwater reels are designed with various metals that are built for freshwater environments. Since they are made for fresh water sources, they have minimal protection against corrosion. Saltwater reels which need to handle seas and oceans are made with special alloys that prevent corrosion. They are still made with the same materials as freshwater reels but have a protective coating that helps to withstand the abrasive saltwater’s. Freshwater reels can feature sealed components. However, it’s not as common and standard issue for saltwater reels. Sealed components, including bearings, gearboxes and drag systems, among others are not as susceptible to saltwater corrosion. The seals’ purpose is really that they are like gaskets and keep the components of the reel safe and free from damage when saltwater fishing. Saltwater reels are can handle and catch heavier fish in contrast to freshwater reels. This obvious capacity difference is due to the environment and fish differences between the 2 water sources. 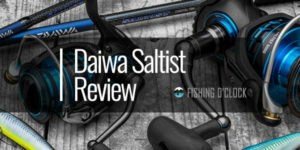 Saltwater reels typically cost more considering the difference in manufacturing compared to freshwater reel and the level of protective elements needed when fishing in the 2 different water sources. Freshwater anglers use spinning, spincasting, and baitcasting when they are on fishing on rivers or lakes. In contrast, saltwater anglers utilize different types of reels when fishing in a different scenario. Specialized, high capacity reels are best suited for offshore fishing, inshore fishing can be handled with general use baitcaster or spinning reels. 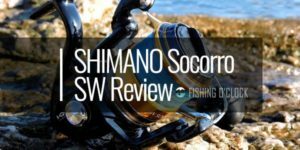 Check our roundup of the baitcasting reels for saltwater and freshwater fishing & spincast reel reviews here! Economical – won’t break the bank and is a perfect reel for beginners to learn on. Versatility- You can use many different types of lures, baits, and tackle. Not meant for big game fish- you will need to pay to upgrade to a more suitable line if you want to catch the big guys. The line can twist with the wind- don’t have the same quick reaction time capabilities as other reels. Shorter casting distance than other reels- limited range. Q: How do I know if I need a saltwater or freshwater reel? A: The answer to that is, where are you going to be fishing? Naturally, if it’s at the cottage or summer house and you are by a lake or stream, freshwater reels are the way to go. 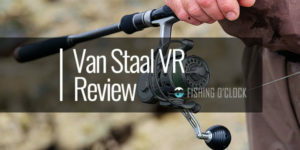 If you plan to test out your fishing skills near the sea or ocean, Grab yourself a saltwater reel that has been specifically designed to withstand the salty, corrosive environment. Q: What do I need to consider when buying a freshwater reel? You don’t want a reel that is too heavy that will affect the fishing experience. You won’t need a heavy one since most freshwater fishing doesn’t require that. Reels operate in different ways depending on the manufacturer. Some manufacturers like to increase the options available on the reel thus causing it to be more difficult to operate. Look to purchase a reel that is easy to maintain and easy to clean- it’s going to be exposed to different, dirty environments and the longevity of the investment depends on how easy it is to clean. Drag is a very important issue for reels- it refers to the amount of resistance the fish will feel once it’s caught. Q: What do I need to consider when buying a saltwater fishing reel? • A: How do you fish? Buying the appropriate reel will depend on where you fish from. Is it from a boat? Ashore? Land? Each reel has its strengths and weaknesses depending on where you will be fishing from. • What type of fish will you be trying to catch?. Your reel and all the options available will depend on what type of fish you are planning to catch. Pairing the right rod with the right reel and with the right reel is critical. • Experience- different reels require different experience skillsets- don’t choose one that you are not familiar with or don’t plan to learn more about. As you can see from the information that has been provided in these spinning reel reviews, the world of angling can be extremely overwhelming when choosing the right fishing reel for yourself. From saltwater fishing to freshwater fishing and what environments they consist of, really do help narrow your choices down when looking at spinning reels. When you have decided on the environment you will be fishing in, you can then choose the best spinning reel that would be appropriate for you based on your intentions, how much money you want to spend and what type of fish you want to catch. What you will need consist of different types of reels and rods with many options for bait and lures. Do you need a baitcaster reel? 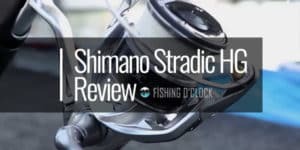 A spincast reel or even the best fly fishing reel? These fishing reel buying guides should help you select which one is for you and which one fits best with your personal fishing situation.